Cheltenham Town midfielder Jordan Wynter is among seven players who will be released at the end of the season. 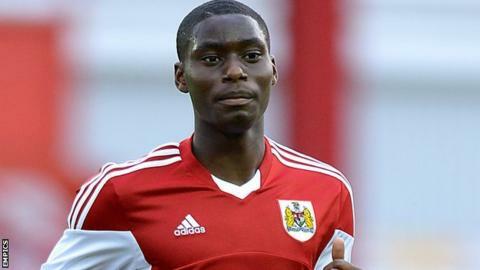 Wynter, 22, began his career at Arsenal and spent a brief period at Bristol City before joining Cheltenham on loan in August 2014. He signed permanently in February 2015 and has made 10 appearances. The other six leaving the National League leaders are Omari Sterling-James, Jack Deaman, Zack Zowtica, Joe Hanks, James Bowen and Harry Williams. Hanks, Williams, Bowen (Gloucester City), Kotwica (Cirencester), Deaman (Telford) and Sterling-James (Oxford City) are all currently out on loan. "It's a hard decision to make about any player," said manager Gary Johnson. "We are looking to do what is right not only for the club, but also them as individuals so have made the decision now to give them the best possible chance of finding a club."